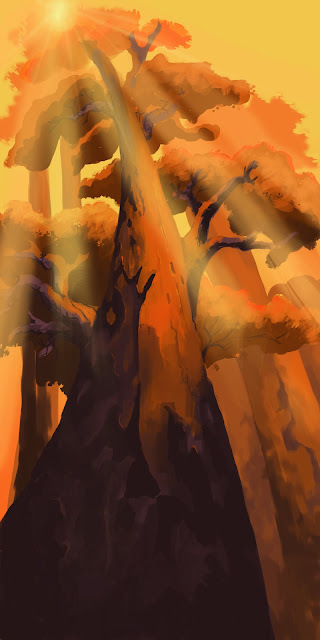 The Art of Chris: Pocahontas Tree!! Again, I am copying Disney backgrounds for a class of mine. This one is a sycamore tree from Pocahontas. I like this one a lot. Great sunlight! I recently memorized all the words to "Steady as the Beating Drum" ... few of which I can remember now. Thanks, guys. I'm going to be doing more of these studies over the next couple weeks. It's definitely a fun way to learn how to paint better.